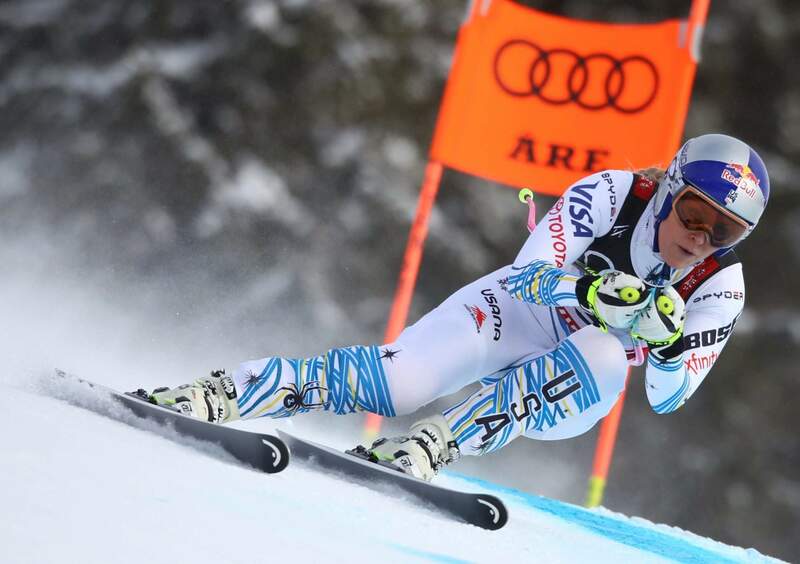 United States’ Lindsey Vonn smiles in the finish area after the women’s downhill race on Sunday at the alpine ski World Championships in Are, Sweden. 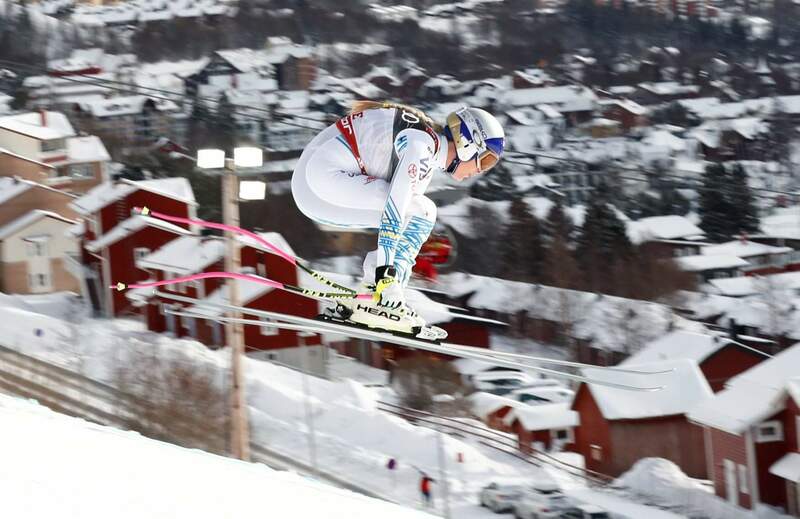 Bronze medalist United States’ Lindsey Vonn celebrates after the women’s downhill race on Sunday at the alpine ski World Championships in Are, Sweden. 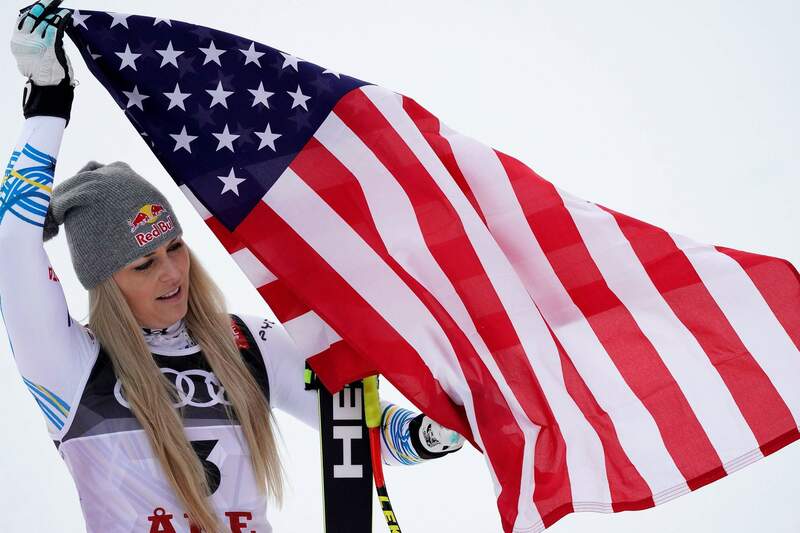 Third placed United States’ Lindsey Vonn celebrates on the podium after the women’s downhill race on Sunday at the alpine ski World Championships in Are, Sweden. 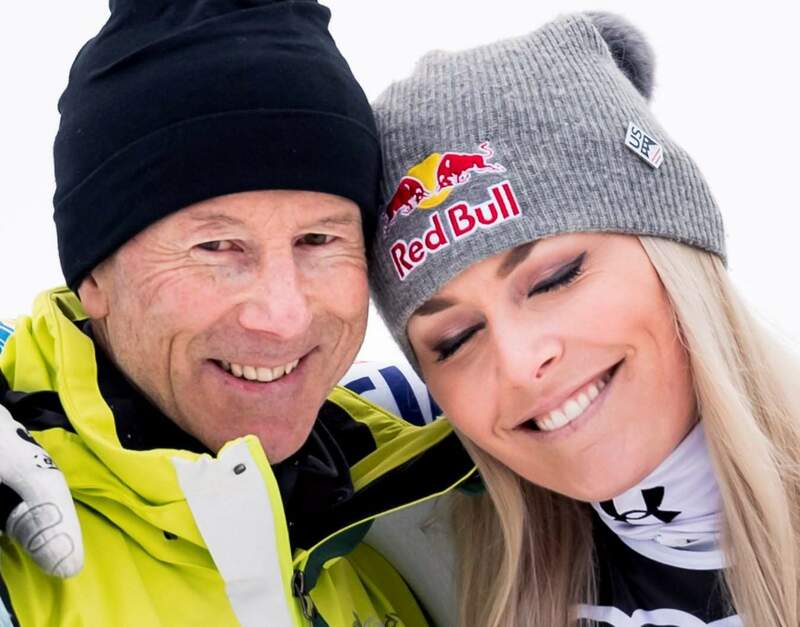 Lindsey Vonn of the United States, right, celebrates with ski legend Ingemar Stenmark of Sweden after the flowers ceremony of the women downhill race on Sunday at the 2019 FIS Alpine Skiing World Championships in Are, Sweden. 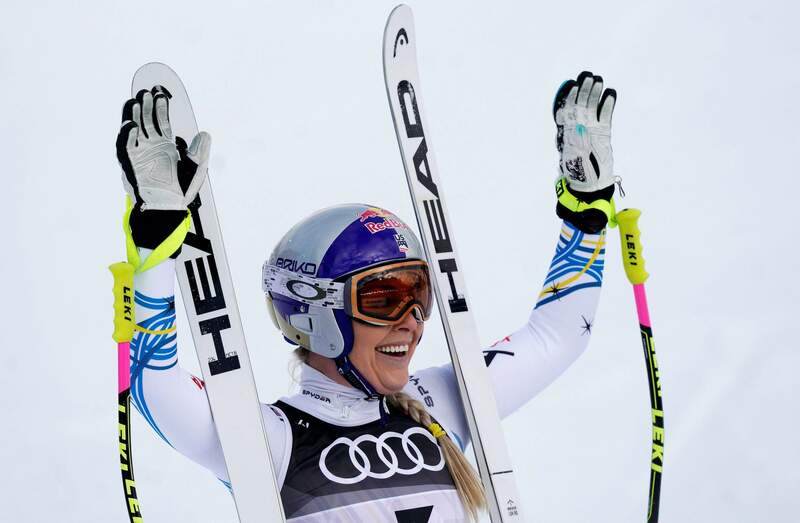 United States’ Lindsey Vonn shows her career’s medals as she holds a press conference after taking the bronze medal in the women’s downhill race on Sunday at the alpine ski World Championships in Are, Sweden. Now she can finally let her body heel and move onto the next phase of her life – possibly acting, having children, starting a business.